Quickly Learn the American Accent! Want to Learn the American Accent? 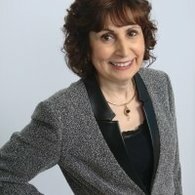 Do you suffer anxiety and distress related to your accent? Does being asked to repeat yourself sound like Squeaky Chalk on a Blackboard? Sick to your stomach about being fired or unemployed. When trying to understand American speech, is it like a bad internet connection? Humiliated or withdrawn in social situations because of your hesitation to speak? ​Tired of not being understood? ​Frustrated at not being understood on the phone? ​We Have an Uplifting Message for You. You Can Learn the American Accent Quickly and Worry Free! We will stand by our pledge that you will be fully satisfied. Our training is unique, it far surpasses the traditional, ineffective, complicated methods used by English teachers and accent coaches. We offer personalized instruction, from a world renowned speech therapist, combined with revolutionary, copyrighted interactive American English word pronouncing, accent neutralization software not offered anywhere else. Pronunciation of English made easier than you could have imagined. ​"My passion is to make it easy for everyone, no matter who they are or where they are from, to speak effectively with an American accent. You will communicate with clarity confidence and ease." An American accent is the best understood English accent worldwide. Removes friction from everyday conversations and makes your life and job easier. Lets you be heard the first time,​ avoiding annoying requests to repeat what you said. People will focus on your valuable skills, not your non-native accent. Research shows some employers are less likely to hire due to accent and language bias. My typical client comes to me after unsuccessfully working with free material, CD's and videos online. They tell me that are still not aware of how they are specifically mispronouncing English sounds. They are unaware of what specifically does not allow them to sound right. They usually require precise individual feedback about their speech production in real time. ​Many adults are not aware they also have speech conditions that require a speech therapist to diagnose and treat. A comprehensive personalized program that includes accent reduction, grammar and writing skills is what most people want and need. Our private, live one-on-one lessons, comprehensively address all the above concerns. Our revolutionary interactive accent improvement software is outstanding and reasonably priced. Comes close to having someone individually working with you. 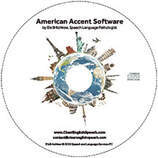 REthink learning how to speak clear, fluent English with our revolutionary interactive, American accent training software. Our revolutionary software makes it fun and easy to pronounce English words. Originally created by Ela Britchkow, Speech Language Pathologist, for her Slavic clients. The full program is ideal for all nationalities and languages. If your language, for example, Chinese, requires additional sounds, we will provide them as audio recordings for free at no additional charge. ​ Solutions ​for MAC users. All of our clients receive a free video recording of their teaching sessions. This provides a great way to review and practice. Your private accent reduction lessons includes a target-specific evaluation aimed at eliminating your individual speech issues. ​Provided by Ela Britchkow, speech language pathologist, certified Compton P-ESL, accent reduction specialist, with over 20+years experience. ​We would love to hear from you. An accent is a way of pronouncing words from a particular region or country. Your accent implies where you come from and social class. Clear English Speech accent reduction training teaches the Standard American Accent, so you will be clearly understood everywhere in the United States with the correct pronunciation of words. "I had a perfect connection with Ela Britchkow, Speech Therapist. That is why our accent reduction classes were so much fun, productive, amazing and fantastic." If you sign up, we will send you all the free offers listed above and emails once or twice a month. In them, you’ll find tips and helpful advice on how to speak clearly and fluently with an American accent. If you no longer wish to hear from us, you can unsubscribe at any time. Speaking English with an American pronunciation, doesn’t mean you will lose your original identity or nationality or native language. You will learn another accent and not lose the one you have. We teach you how to have easy and confident conversations in English. We would love to hear from you. If you are an organization, with two or more employees that needs American Accent training, please provide us with a few details. So that we may contact you with a specific proposal for our affordable, customized programs. Have questions? We would love to hear from you. Full refund provided if not satisfied. Please refer to Terms of Service. We offer one-on-one Skype Sessions! ​American Slang Words and Phrases: What Are They Talking About? ​Can Idiomatic Expressions Be Political? ​English is rapidly becoming the world's main language. In almost every country, better education and employment opportunities depend more and more on a person's ability to speak English clearly and be understood. Internationally, the American accent is best understood among other English speakers.